Why: National Odyssey Day is a nationwide, biennial event with the mission of educating the public about alternative fuel and advanced technology vehicles and the important role these vehicles play in providing solutions to our nation’s growing energy security and environmental issues. This year more than 125 sites will join together on April 20th to further this cause. 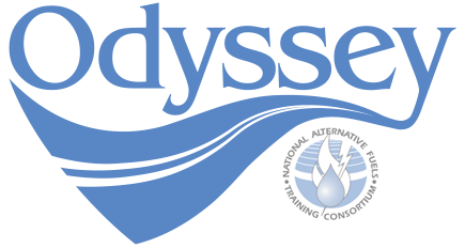 Where better to celebrate Odyssey Day in Alabama than at Lawson State Community College, a member of the National Alternative Fuel training Consortium! Come join us for a full day dedicated to providing clear, concise information about alternative fuels and alternative fuel vehicles. Enjoy viewing and driving many of the vehicles that will be on display. This years’ agenda topics will include industry professional’s briefings on Electric Vehicle availability and advancements, Compressed Natural Gas initiatives and how Propane Autogas can be an excellent, and cost saving, fuel for fleets and municipalities across the state. Additional presentations will include how to Optimize Fleet MPG and methods to reduce vehicle miles traveled to save money. A highlight of Odyssey Day 2017 will be a presentation on how Alabama’s share of the VW settlement funds will effect alternative fuel vehicles and infrastructure projects in Alabama….and how you may participate. To help us plan food (great lunch served) and materials please register at the above registration page web address. After you register you will receive directions and other important information to help you make the most of the 2017Odyssey event! Please join us on April 20th! The Alabama Clean Fuels Coalition is the state’s leading advocate for alternative fuels. The promotion of clean, renewable, domestic energy sources helps reduce our dependence on foreign oil, improves local air quality, and increases economic development investments in our local communities. For more information, please visit our website at www.AlabamaCleanFuels.org or call us directly at 205-402-2755. Lawson State Community College is a member of the National Alternative Fuels Training Consortium (NAFTC). Headquartered at West Virginia University, the NAFTC is the only nationwide training organization for alternative fuel vehicle and advanced technology vehicle training in the United States. Lawson State is one of only 50 National Training Centers and the only one in Alabama. As a National Training Center, Lawson State will provide classes and workshops covering a wide array of topics such as biodiesel, ethanol, compressed natural gas (CNG) liquefied natural gas (LNG), battery-powered & electric vehicles, advanced technology vehicles, and liquefied petroleum gas (LPG/Propane). Event Highlights: The Alabama Clean Fuels Coalition (ACFC) partnered with Lawson State Community College (LSCC) and the Birmingham Business Alliance to promote and facilitate their National AFV Day Odyssey event—the Odyssey Day Business Roundtable—on the LSCC Birmingham campus. Speakers at the event included Danny Smith, vice president of state governmental affairs from UPS; Dr. Perry Ward, president of LSCC; Cedric Daniels from the Alabama Power Company; Bob Strickland from the Alabama Gas Corporation; Buddy Gamel from Precision Sales & Services; and Mark Bentley and Phillip Wiedmeyer from the ACFC. The two-hour conference promoted petroleum reduction by encouraging the use of alternative fuels and advanced technology vehicles. Lawson State student Ayobiyi Harris proudly displays a CNG Honda on at Lawson State Community College’s Odyssey event in Birmingham Alabama. Credit: Alabama Clean Fuels Coalition. Event Highlights: During National AFV Day Odyssey 2010, Lawson State Community College’s Bessemer campus provided space for alternative fuel vehicles, classrooms for educational seminars, and tours of the college’s Alabama Center for Automotive Excellence. The event included information on the future of alternative fuels, provided an opportunity to test-drive alternative fuel and advanced technology vehicles on display, and featured seminars on practical applications of alternative fuels such as E85, propane, compressed natural gas, biodiesel, and electric vehicles. Attendees at Odyssey 2010 also had the opportunity to learn about saving money on daily commuting, provided by CommuteSmart. Furthermore , guests were treated to free vehicle emissions testing by the Alabama Partners for Clean Air. “The Alabama Clean Fuels Coalition is honored to have been the host of Odyssey Day 2010 along with our partner Lawson State Community College to help educate our state on the advantages and applications of alternative fuels,” said Mark Bentley, executive director of the Alabama Clean Fuels Coalition. Event Highlights: The I-65 America’s First BioFuels Corridor project allows owners of both flex-fuel and diesel vehicles to travel from Lake Michigan to the Gulf of Mexico, the entire length of I-65, on either E85 ethanol or B20 biodiesel. Ribbon-cutting ceremonies were held at four current or future locations of Clean Corridor stations in Mobile, Montgomery, Birmingham and Huntsville. As a result of the Biofuels stations on I-65 at the time of the drive, the Alabama participants fueled their FFV’s with only E85 ethanol from Mobile to Indiana and back to Birmingham! Several stations offered E85 for just $2.85 during the event and purchasers of E85 could register for one of ten $50 fuel cards to be given away. A Biofuels Summit was also hosted and featured an informative panel discussion on cellulosic ethanol and the research being conducted on biofuels by Auburn University. A biofuels informational booklet was provided to all attendees.